• Mohamed Gazali started his career with Union Holding, Ras Al Khaimah as IT Administrator, who is incharge for day to day IT Activities then he joined as IT Administrator with Dubai based Security brokerage firm Darahem Financial Brokerage where he works more than five years and built whole IT infrastructure from the scratch. 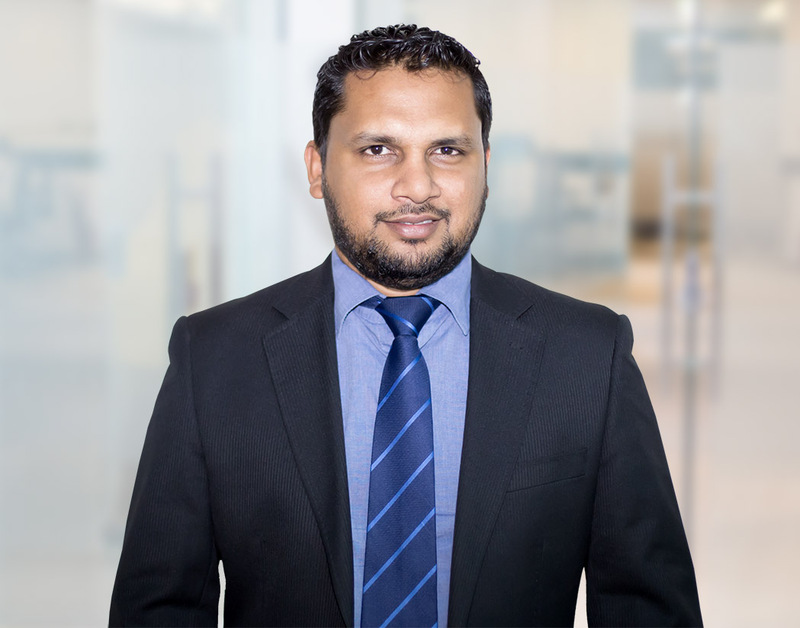 He is the project Manager for Dubai Financial Market & Abu Dhabi Security Exchange X-stream Migration and as per Securities & Commodities Authority regulation, he built Disaster Recovery Site with zero data loss. • He joined MENACORP in Jan 2011 as Head of IT Dept. In this Capacity, his main responsibility is to oversee the company’s entire IT Infrastructure. It’s bit technical but in a nutshell he is incharge of Network Security, VM Ware, Storage, Exchange Emails and Disaster Recovery Solution. He is also incharge of Local and International order Management system (OMS) including Several Direct Market Access (DMA) connectivity. Most importantly he is the one who implement the IT Policies and Procedures of Menacorp. • Apart from above, where he leads multiple projects in MENACORP like Database Migration, High Secured Firewall Implementation, Corporate Office IT Infrastructure Build, OMS Migration, Disaster Recovery Solution Implementation. • Mohamed Graduated from University of Madras, India (Master of Science in Information Technology) and several certified courses from Microsoft, Cisco and VMware.